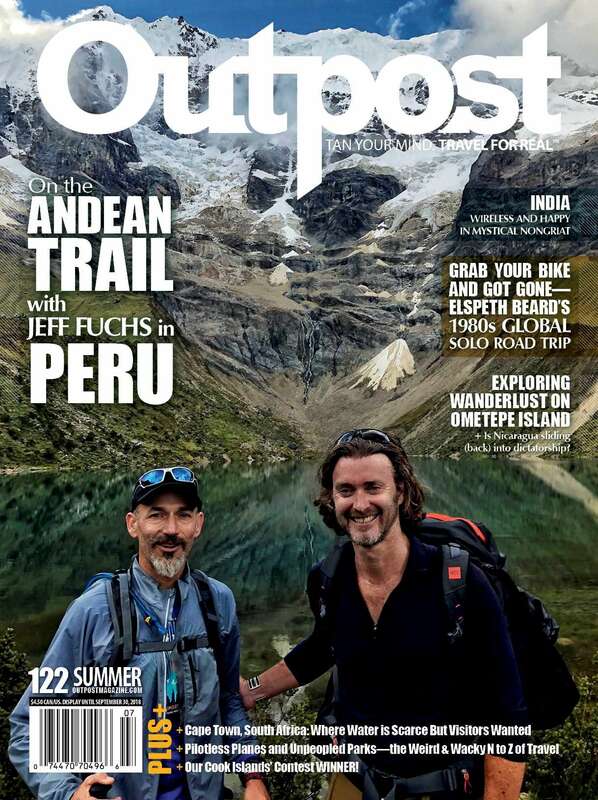 PERU Through the Lens: Editor-at-Large JEFF FUCHS hits the trail in the spectacular Andes. In an excerpt from her book about a mostly-solo global motorbike trip, Elspeth Beard takes an epic wipe out and writes about the people who came to her aid. Supriya Pava heads to northern INDIA to unplug in a most remote spot, and Robert Brodey lands on Ometepe Island to reflect on wanderlust. In South Africa, Brandon Schultz learns the art of “cleanlessness” to help the planet heal.